Ever look at that big bucket of coins sitting somewhere in your house and think "Boy I wish I could fulfill my wildest dreams with the money from that." And then you think "Rolling all of those coins is going to be the death of me." 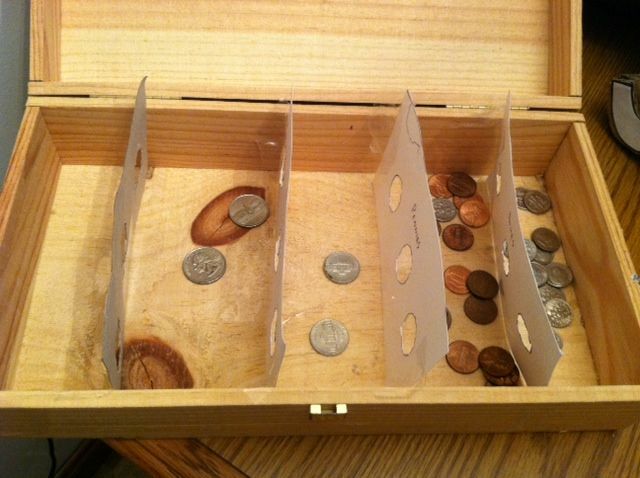 Well now you don't have to ignore those coins but embrace them with this awesome coin sorter that takes about ten minutes to make! You'll only need a few things for this project. This coin sorter works by separating the coins by size. There are 4 dividers with circles cut in them. The first is a quarter shape. All the coins can fit through there. The next is the nickel slot. The quarters can't fit there so they get left behind and all the other coins pass through. 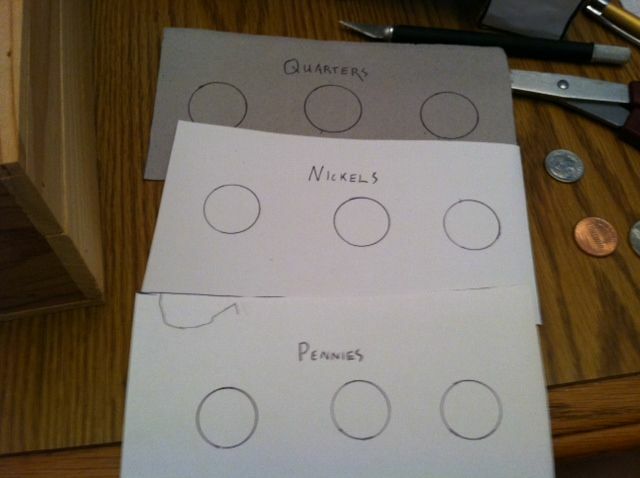 Then the nickels cant fit through the penny slot and the pennies can't fit through the dime slot. Pretty simple. Hard to put in words. What you need to do now is cut the dividers out. 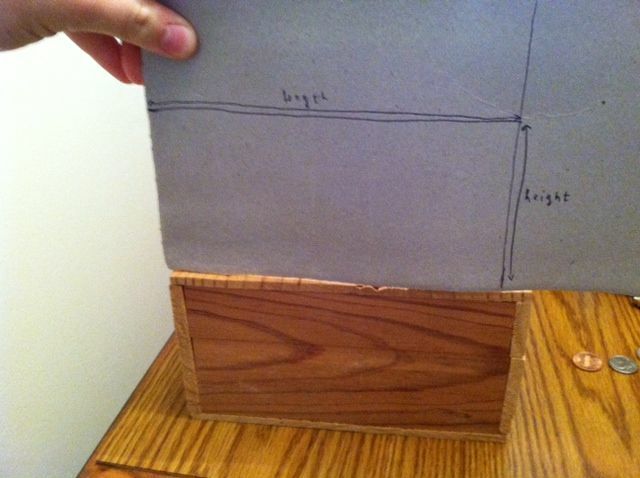 They have to be rectangles with the height and width of a cross section of your box. You'll need four identical rectangles. 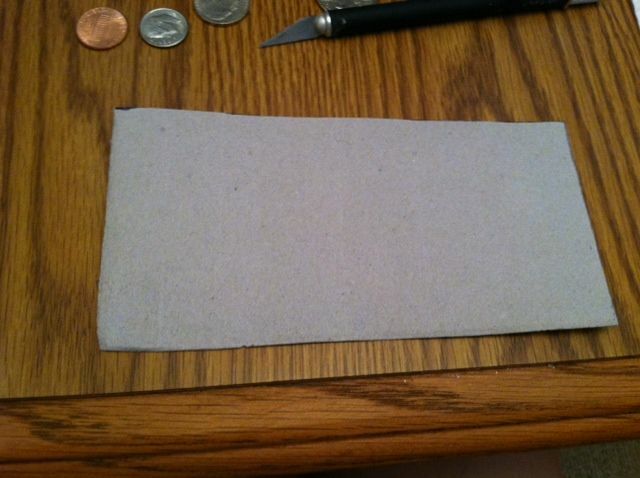 Cut out the slots you just made with scissors or a craft knife. 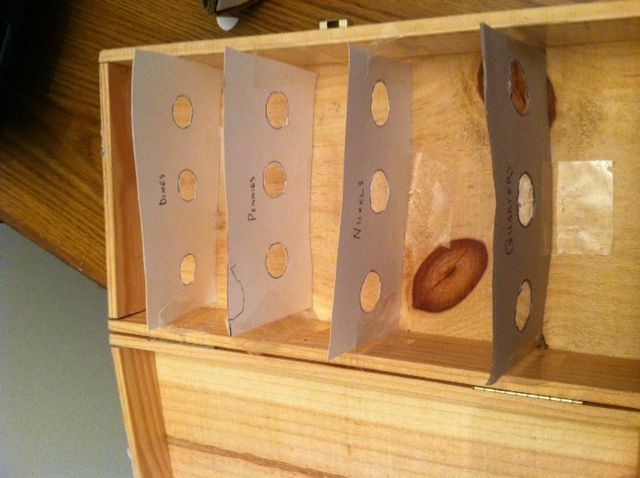 Now what you will need to do is line up the dividers in your box in order. First you set in the quarter slot then tape it in. Next goes nickel then penny then dime. Remember they go in order of size biggest to smallest not by money value. Try to space them as evenly as possible. Step 6: Step 6: Close the Lid and Shake! After you've taped your dividers securely in your box is now ready to sort! 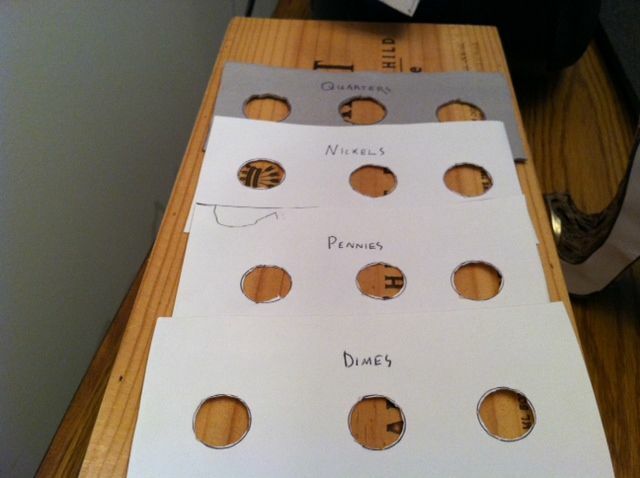 Pour the coins into the starting spot (just before the quarter divider) and close the lid. Shake for about 30 seconds and then open to a fresh pile of sorted coins! 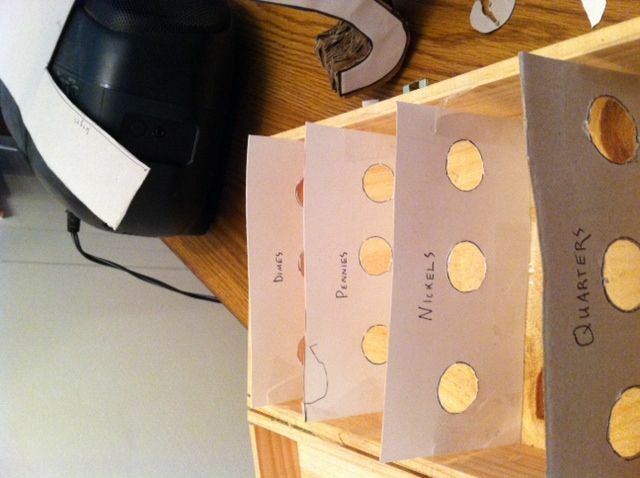 Except for a few slip ups(usually pennies getting into the dime section) the sorter is pretty accurate. Enjoy! 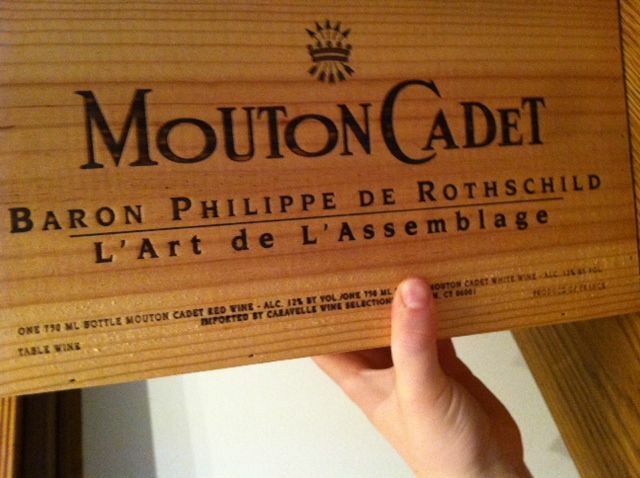 It seems appropriate on so many different levels that separating loose change is being done in a box emblazoned with the name of a member of the Rothschild banking dynasty. It's a practical tool, social commentary and parable all rolled up in one. 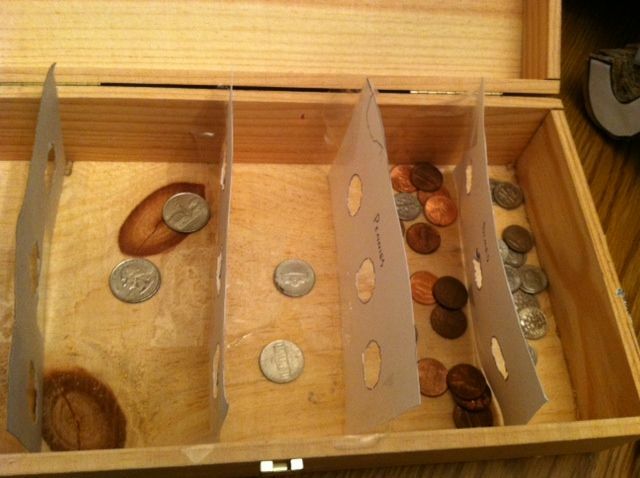 After building this I noticed you don't need 4 dividers, you only need 3 (Nickels, pennies and dimes). The quarter divider is redundant because the quarters won't fit through the nickel divider anyway. You're just going to be left with an empty space. I guess the empty space could be useful for pouring in new coins if you're going to keep them inside the box. 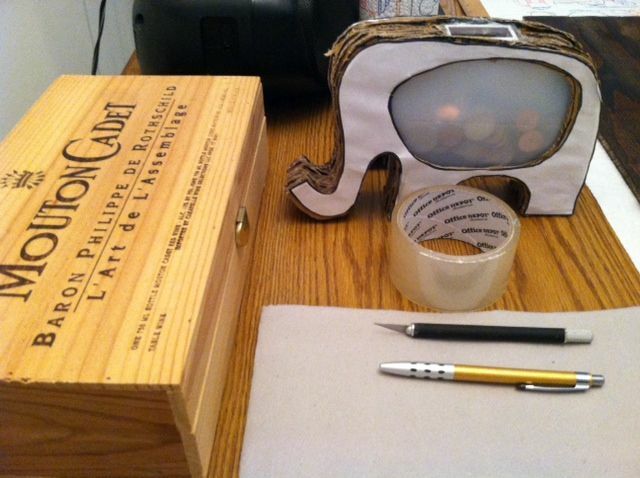 But if you do this eventually the cardboard will snap from the weight of all the coins in the box.